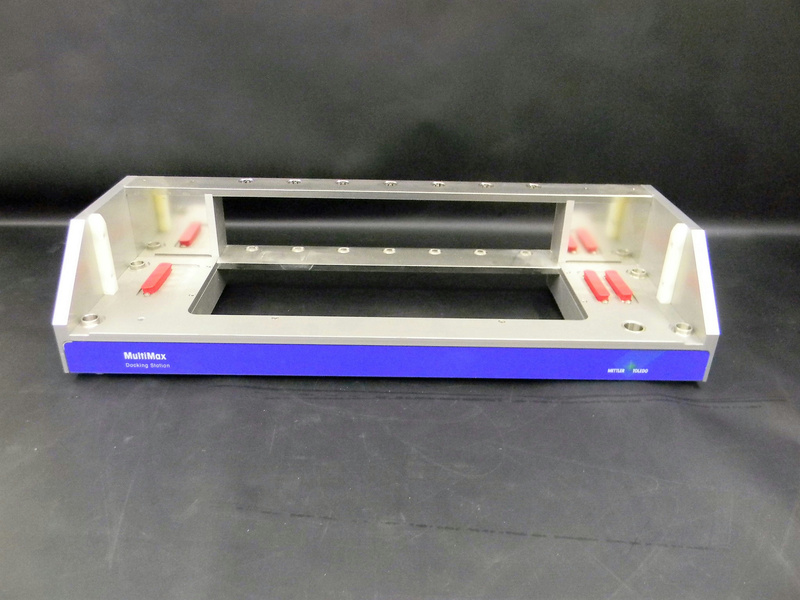 Mettler Toledo FNR 51160843 MultiMax Docking Station Dissolution Pharmaceutical . New Life Scientific, Inc. This is a used docking station that is in good cosmetic condition, but it has not been tested by NLS technicians. This product serves as a holder for stands with probes/paddles for the reactor boxes, and is a companion to the autosampler for the MT MultiMax system.